OXFORD, England (CNS) — One of Germany’s oldest Catholic dioceses has become the latest to unveil a major reorganization, in the face of rising costs and declining church membership. 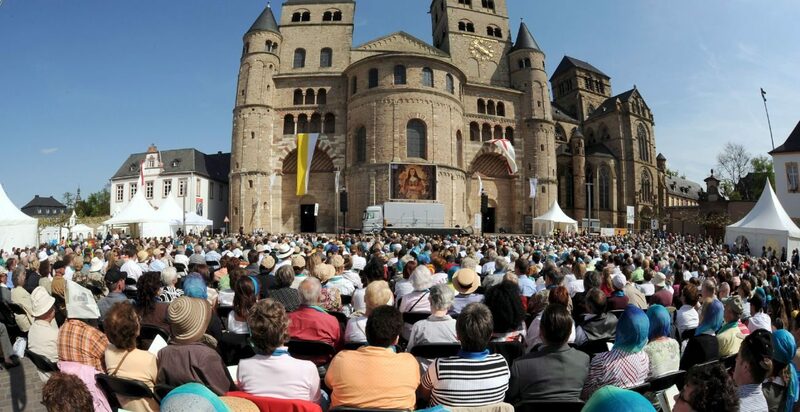 On Feb. 16, Trier Bishop Stephan Ackermann announced the diocese would reduce its 172 parishes to 35. Under the reorganization, to take effect in 2020, each new parish will he headed by a priest and two full-time laypeople, with one or two management volunteers. In a diocesan website interview, Bishop Ackermann said local lay councils and expert groups would continue playing a role in the reorganization, but said final responsibility for “such a great reform” would lie with him. However, the German Press Agency DPA reported the planned changes had faced resistance, with some Catholic communities fearing a loss of resources to the new parishes. Rupp confirmed that complaints had been made about “asset management,” but said a 2016 diocesan synod had incorporated “people from the entire diocese,” who would be encouraged to share responsibilities with Trier’s 1,016 priests and deacons and 1,740 religious order members. “In each new parish, priests, deacons and pastoral ministers will all work on different issues and tasks,” Rupp said. “Of course, not everyone agrees with our plan — many still need convincing. Overall, however, the faithful understand the need for a comprehensive reform,” she said. Parallel parish reorganizations are underway in other parts of Europe, where a sharp drop in active church membership since the 1960s has accelerated over the past decade, despite efforts by church leaders to reach out with new forms of evangelization. In 2012, Germany’s Berlin Archdiocese announced it would merge its 105 parishes into 35 larger “pastoral spaces,” while selling off unused churches and cutting 40 percent of its clergy and lay staffers, to cope with debts of $140 million since Germany’s 1989-90 reunification. Austria’s Vienna Archdiocese is also merging its 660 parishes into 150 larger entities, each served by three to five priests, while the Catholic Archdiocese of Luxembourg is reducing its existing 274 parishes to just 33. Rupp told CNS Trier had been unusual in convening a diocesan synod to debate reforms. “We’re trying to change the image of the parish more radically than other dioceses, by introducing a highly pluralistic pastoral framework,” she said. The Trier changes were announced as Germany’s 66-member bishops’ conference met in Bavaria to discuss the October Synod of Bishops on youth, pastoral care of refugees and ties with Catholics in Eastern Europe.